Discover New Zealand’s most popular one day ‘great walk’. Every year, more than 100,000 people come from far and wide to experience the Tongariro Alpine Crossing. The Tongariro Alpine Crossing takes about 7 to 8 hours to complete, covering a distance of around 19.4kms one way. This legendary track passes through dramatic volcanic terrain and unique landscapes. In the presence of active volcanoes, you’ll experience a cold mountain spring, lava flows, an active crater, steam vents, natural hot springs and emerald-coloured lakes. See the moonscape craters of Ruapehu, Ngaruhoe and Tongariro, lush native forest, lava formations, glaciers, crystal clear rivers and other magnificent views. Smell the sulphur of the active Red Crater and take challenging side trips to the summits of both Mount Ngauruhoe (1967 metres above sea level) and Mount Tongariro (2287 metres). 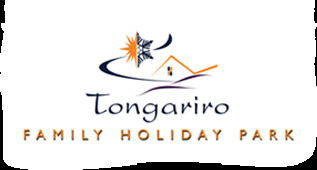 Tongariro Holiday Park is the ideal accommodation to base yourself and offers transport to the beginning of the Tongariro Alpine Crossing and pickups at the end.